Our goal is to bring the industry together. CHCs and associates alike believe in the work we do, and you’ll find them all in our member directory. The CHO’s membership isn’t limited to credit hire companies. In our directory, you’ll find other CHCs along with the partners you’ll need for a full end-to-end service; including vehicle recovery experts, barristers, engineers, recruiters and fraud prevention specialists. ACH specialise in caring for drivers of vehicles who have been involved in a non-fault accident. Popular belief is that you must involve your own insurance company, this is not the case. Our premium service ensures a comparable replacement vehicle whilst you are without yours. Combined with our premium repair service you can rest assured that your vehicle is in good hands. ACH will process your claim at the repairer of your choice and without an excess to pay, ensuring your no claims bonus is unaffected.  Active Auto Solutions works with the insurance profession and fleet managers to enhance the service they provide to their clients. Owned by the Ogilvie Group, a Scottish based multi-disciplinary operation and fleet owner, AAS offers a full range of motor claims management services from first notification to final settlement. A distinctive feature is our ability to provide virtually any type of replacement vehicle including more unusual commercials vehicles, with the aim of reducing disruption and losses following road traffic accidents. Alpha Accident Management started in 2007 and is a family owned and run business based in Dungannon, County Tyrone, operating across Northern Ireland. We manage all aspects of the claim for the non-fault party. We instruct an independent engineer to inspect our customer's vehicle before repairs (or recover and safely store the vehicle if it is not repairable, whilst we negotiate PAV settlement), we offer a replacement vehicle from our fleet of prestige cars, vans and taxis, and, through our team of solicitors, we ensure that our client and/or their passengers are compensated for any injuries they may have suffered. Auto Claims Assist was established in 2009, based in the North West but covering all areas of the UK where required. We have a wealth of experience within the accident management industry. Our skilled team have over 30 years’ experience in the complexities of accident management and can provide informative and expert advice to both clients and extended network of partners. We have a large panel of solicitors across the region, some of whom have been associates for several years. We work closely with all of our external partners to ensure an outstanding service throughout. We have a large fleet of vehicles to suit all requirements including standard, prestige and commercial vehicles, giving us the ability to provide a like for like replacement to all of our customers throughout the UK. Auxillis provides a range of motoring assistance services: •	Claims Management Services •	Replacement Vehicle Services •	Repair Services •	Personal Injury Management •	Insurance Products Specialising in the provision of outsourced services to the insurance and automotive sectors and employing over 1,350 staff, Auxillis offers responsive high quality services 24/7/365 from their contact centre in the North East, with mobility support from its own vehicle fleet and UK branch network. As part of Redde plc, with annual revenues of over £472.3m and a range of complimentary specialist legal, fleet and claims management services, Auxillis can offer unmatched scale, reliability, breadth of services and quality. We help motorists who have found themselves on the wrong end of an accident regain their mobility. If it's not their fault, you have the right to a replacement vehicle whilst your own car is being repaired or replaced and we can provide that mobility and all of the support that comes with it. We help remove the stress, we take responsibility for interacting with insurers, we organise repairs and we keep you mobile so that you are not affected by the temporary loss of your car. Established in 1998, Bristol & London provide full accident management services to our customers, we have our own fleet of prestige vehicles that we can supply across the country with customer service at the heart of what we do. Bristol & London also supply our vehicles on a direct hire basis to many insurers and CHO’s, this is due to our excellent availability as we have a low utilisation rate of the fleet, as well as the very best rates. Established in 2003, we are a taxi credit and direct hire provider to the insurance industry. Based in our own purpose-designed and conveniently located premises at the heart of the Midlands motorway network we work with a number of major insurers, insurance brokers and accident management companies offering a national plated vehicle replacement service, usually within 24 hours of the client’s accident. Chief Vehicle Rentals’ core business is providing non-fault claims management services including management of vehicle repairs, provision of replacement credit-hire vehicles and uninsured loss recovery. CVR specialises in the supply of licensed private hire, hackney carriage and PSV vehicles throughout the UK. CVR also supply Motorhomes, Commercial, prestige and standard vehicles from their extensive fleet. CVR are instructed by a number of Insurers Companies and Insurance brokers to supply accident management services to their customers whilst also providing licensed and specialist vehicles on an Intervention and Authorised hire basis on behalf of their Insurer Clients. Crystal Claims Management provides a comprehensive accident management service for people who have been involved in a road traffic accident. Our aim is to provide a hassle free process in a non-fault accident where you can simply sit back and relax while we do all of the heavy lifting. With over 10 years of experience in the accident management industry we aim to provide a seamless journey from the day you call us to the end of the claims process. EDAM Group is an established and thriving market-leading credit hire and post-accident services company serving a broad range of markets. We operate our own fleet and are the UK’s largest privately owned service provider. Our success lies in our service led offering, evidenced by our market leading NPS score. Building personal and long term sustainable relationships we provide our business partners with peace of mind that our mutual customers are delivered an exemplary service. With a strong focus on keeping drivers mobile, our ‘in-house’ knowledgeable and experienced UK based teams deliver our services with integrity and a passion for quality. Our services are underpinned by our strong financial position which provides reassurance to our business partners in an ever changing and uncertain market place. Enterprise Rent-A-Car is an internationally recognised brand with more than 9,900 fully staffed neighbourhood and airport locations throughout 90 countries and territories worldwide. Specialising in the provision of replacement vehicles and courtesy cars that are relied upon in the event of an accident, Enterprise also provides daily and weekend rental for private or business use. It also offers a range of mobility options spanning hourly, daily and long-term rental through its established branch network and specialist departments such as Enterprise Flex-E-Rent and Enterprise Car Club. In the UK alone, Enterprise operates over 90,000 vehicles through a network of more than 450 branches. Gemini specialise in providing claims management and credit hire solutions nationwide. We offer the complete range of claims management services to customers and insurers including mobility solutions throughout the UK. Our range of services include: FNOL, credit hire services (including commercial, licensed and specialised vehicles), personal injury management and repairs services and management. Our 24/7 UK based customer contact centre is open 365 days a year meaning we’re best placed to respond quickly and ensure each customers’ claim is handled quickly, efficiently and personally. We are 1st Tier Subscribers to the ABI GTAs and we are quality assured by the BVRLA (British Vehicle Rental and Leasing Association). Gemini are authorised and regulated by the Claims Management Regulator in respect of regulated claims management activities (MoJ Authorisation Number: CRM33434). Hertz Accident Support Ltd is a Claims Management Company which specialises in replacement vehicle solutions. The business is owned by Hertz Global Holdings, Inc. so we have the financial strength and infrastructure to manage large-scale and bespoke solutions for our clients. We provide FNOL, TP Capture, Repair Management and Vehicle Replacement Services to a wide range of blue chip organisations such as Insurers, Brokers, Claims Management firms and Self-insured fleets following a motor incident. However our speciality is in the provision of replacement vehicles solutions for both Authorised and Credit Hire, utilising the Hertz fleet and infrastructure. With 25 years’ experience, Kindertons Accident Management (part of the Kindertons Group) is a market-leading service provider of full accident management and mobility solutions to the UK Motor and Insurance industries. Since the business started, we’ve helped more than 500,000 customers get back on the road following an accident. Our services include FNOL, vehicle repairs, storage and recovery and credit hire vehicles, utilising our diverse in-house fleet of 5,000 vehicles, ranging from cars and taxis to light commercial and dual-control vehicles. We also offer a range of additional products and services including Legal Expenses, Guaranteed Hire Vehicle and Breakdown cover. Specialising in the provision of non-standard vehicles, Magna Accident Services offers expert post-accident services including FNOL, credit hire, ULR and repair management. We provide credit hire and repair services, we can also assist with personal injury claims. Our aim is to assist anyone who has been unfortunate enough to be involved in a non-fault accident! Founded in 1984, MSL remains independently owned with a strong ethos of putting customers’ needs at the forefront of product and service design. MSL operates 24/7 365 days a year, delivering a dedicated full claims management service from first notification, arranging hire and repair and if required, through injury and rehabilitation. Experienced in complex claims, MSL aims to go further to understand their customers’ needs, supporting them through continuous investment in their people and processes as they aspire to be a top-three provider of market leading legal expenses insurance, assistance and claims services. A Credit Hire company with a difference. We are one of the leading suppliers of replacement vehicles, specialising in licenced Private Hire and Taxis, as well as luxury and prestige vehicles. Based in the heart of the Capital, a stone’s throw away from the London 2012 Olympic Village, we deliver replacement vehicles all across the country. We offer a seamless end to end service, with the individual touch, ensuring we are always there to help RTA victims in their hour of need.  RTA Assistance are a national provider of accident management services operating in a variety of market sectors to include mainstream, taxi, broker and fleet. All business’s manage their client base to provide the highest standards of customer care, but we all have clients that require something more, such as a bespoke solution or standards of personal service that excel the norm. By being professional in everything that we do and by recognising the need to be innovative at all times, we are enjoying a growing reputation as a business that delivers on the promises that it makes and delivers beyond expectation. S&G Response provides a complete back office to a range of stakeholders including insurers, vehicle manufacturers and intermediaries in the motor supply chain. S&G manages all claims, regardless of liability, delivering repair and mobility solutions. The “hub and spoke” model can be utilised as a complete outsource or adopted on a modular basis to meet niche or cyclical requirements.  Slater Gordon Solutions Motor provides a full outsourcing solution to insurance brokers, insurers, dealerships and bodyshops. We offer tailored services driving down the cost of motor claims, maximising opportunities and delivering exemplary customer service, underpinned by 24/7 operations. Bringing a consultative approach to sustainable partnerships, we offer a range of services with innovative solutions delivering flexibility & scale Services include: •	24/7 FNOL •	A suitable hire vehicle supplied •	Vehicles repaired by a British Standard Kitemark approved, professionally accredited repairer •	We will put you back into the position you were in before the incident. •	Assistance with any legal or personal injury claims. Simple Self Drive Is a leading car hire provider covering everything from credit hire to vehicle telematics. Established for over a decade, Simple Self Drive’s team has grown considerably bringing on board leading experts to further the services we provide to our clients. At the core of our values lies a hunger to provide an impeccable service as well as an ear to the ground approach to achieving targets in a continually changing environment. Spectra supply replacement vehicles on a ‘credit hire’ basis to those clients’ who have been involved in non-fault motor accidents. Subject to the assessment of liability we can deliver an appropriate vehicle anywhere in the UK within 4 hours. Spectra’s aim is to supply a vehicle suitable to the client’s needs. Spectra can also assist with the repair process for those clients who do not wish to make a claim using their own comprehensive policy. The CAMS Group was founded with the vision to become a primary credit hire operator in the midlands.  Since 2006 the company has grown from strength to strength with Nationwide Assist our Taxi arm of the business and also Central Accident Management providing like for like replacement vehicles throughout the UK. The CAMS Group specialize in assisting and supporting insurance brokers and their policyholders with all aspects of road traffic accident claims handling services. Providing accident management services and replacement hire vehicles to private hire drivers throughout the UK. Vision is an established provider of credit hire and intervention hire to motorists involved in road traffic accidents. With over 20 years’ experience in the motor insurance industry, an extensive fleet of vehicles and seven vehicle depots across the country, Vision’s objective is to provide a like-for-like replacement vehicles to customers who have been involved in non-fault incidents as efficiently as possible with a strong focus on providing exceptional customer service. Vision recovers all costs from the at-fault driver's insurance company once the hire period has ended. Acclaim Resourcing is a specialist recruitment and staffing agency providing tailored recruitment solutions to the insurance and claims industry. From entry level to director level positions Acclaim Resourcing can take help to find the very best people to ensure the continued success of your business. Breens Solicitors Southport have been providing specialist Credit Hire Recovery Services to the industry for the past 30 years. Approved by the Solicitor’s Regulation Authority in February 2016, Canford Law is a new thriving solicitors practice . The “Canford Family” is made up of commercially aware, legislation savvy, insurance litigation lawyers.  Currently operating out of Welwyn Garden City, Bournemouth and Wilmslow, the firm offers comprehensive claims handling and litigation packages nationwide, to companies within the insurance industry. Compliancy Services is a specialist compliance consultancy.  Founded in 2003 in response to the increase in regulation across the financial services sector, our sole purpose is to minimise regulatory burden and to ensure that compliance is an enabler to business growth for our clients. We have been involved with the CHO since 2005, before the two credit hire membership associations merged and are pleased to count a number of the current CHO membership as our clients for both training and compliance monitoring support purposes. An established legal practice based in the heart of Manchester that offers specialist legal advice for all aspects of Road Traffic Accident litigation and recovery: from modest personal injury claims to serious accidents involving catastrophic and life-changing injuries; hire, repair and storage recovery. We offer our services direct to private clients and have a team of specialists that can service the needs of commercial fleet owners. Friendly and approachable to clients but formidable to opponents: with high levels of technical expertise to deal with all aspects of Road Traffic Accident losses. Large enough to know, but small enough to care.  IMS, although initially started as an Engineering company now offer individually tailored solutions to the vehicle motor claim industry.  Founded in 2006 we have grown to be one of the UK’s leading motor claim specialists dealing with over 60,000 claims per annum. We specialise in helping our clients deal with the ‘vehicle’, whether it be Repair, Total Loss, Cash-In-Lieu or just Engineering we offer unrivalled professionalism, efficiency and market leading solutions all built around our ethical approach. Our technology and know-how allow us to become an extension of our clients and offer them the consistency, adaptability and flexibility that today’s ever-changing market requires. Since we were established in 2003, we have successfully helped tens of thousands of people recover compensation. We are now Northern Ireland’s No1 Personal injury and road traffic law firm, handling more cases locally than any other firm. Our team of over 60 people, have vast experience of all the processes which must be navigated to make sure you get the best possible result. We pride ourselves on our friendly and helpful approach, so from your initial contact, we strive to fully explain in simple terms how we can help you and we will let you know how best to proceed with your claim. We help clients all over Northern Ireland from our Belfast and Newry offices, and we also offer home visits. MTB Solicitors have been providing services to the Credit Hire industry for over 20 years. We are members of MASS, APIL and associate members of the CHO. We have experience in advising clients on all aspects of the Northern Ireland and Republic of Ireland legal systems and regulatory landscapes. We understand the commercial needs of our clients and seek to achieve an efficient and cost effective outcome. We are always delighted to hear from business that want to explore opportunities in Northern Ireland or the Republic of Ireland. We are also very open to working with businesses that wish to enhance their current legal support in these jurisdictions. A fresh outlook to outsourcing! That’s MRH. MRH was formed with one thing in mind, become the go to, one stop shop for credit hire recoveries. We achieve this by combining both pre-litigation and litigated recovery services, employing true credit hire specialists to handle your claims from invoice to settlement. Our focus is on providing a comprehensive, cost effective solution specifically tailored to clients needs. With MRH, the possibilities are truly endless. SGI Legal LLP are part of a Group of Businesses involved in the and Credit Hire and Personal Injury sector. In the UK, SGI legal have a wealth of experience in credit hire recovery. The leadership team has worked for many of the country’s leading credit hire companies throughout significant change over the last 20 years and embraced the challenges presented. This experience has been invaluable in building the litigation plan and case management system to enable us to continue to support our hire partners offering competitive commercial arrangements through challenging costs regimes, whilst always remaining committed to customer satisfaction. Stephensons is an award-winning top 150 law firm, with over 450 staff based in eight offices across the country. We have an experienced team of credit hire fee earners involved mainly in recoveries for niche vehicles to include taxis, coaches and HGV’s etc but also work with standard vehicles too. We pro-actively pursue claims and seek settlement at an early stage to ensure that cash flow turnaround can be sustained whilst delivering high standards of advice and feedback on litigation risk as each case progresses. We provide ad hoc updates to work sources in relation to regulatory issues and developments in case law and are happy to offer pre-conduct advice and support as needed. Tec Reports offer industry leading services to its clients in respect of Motor Engineering. We offer the most advanced IT solution to increase engineering productivity and efficiency and with 27 fully employed desk and field engineers we cover the entire UK mainland subcontracting less than 1% to UK Islands. We bespoke our service to our clients requirements and these are centric within our offering. We major on IT and are constantly improving and innovating our services to meet demands from our clients and the industry in general. Our services are totally transparent and we are GDPR ready for May 2018.  TRUE Solicitors LLP is a national firm of solicitors, employing over 200 staff across offices in Newcastle upon Tyne, Leeds and Birmingham. We act for clients of ABI GTA subscribing and non-subscribing Credit Hire Organisations and have developed a reputation for delivering a first class litigation recovery service. We have the resources to deal with high claim volumes, and can tailor our service to suit your needs. If you are a CHO interested in how TRUE Solicitors LLP may be able to complement your existing credit hire or personal injury service, please contact Richard Milner for an initial discussion or to arrange a meeting. Verius Risk solutions provide risk and counter fraud solutions to credit hire companies. Winn Solicitors are a market-leading national law firm, specialising in personal injuries. We provide a full accident management service to the innocent victims of road traffic accidents. We’re proud to be recognised by the Legal 500 as one of the leading firms in PI, and have won several national awards in recognition of our outstanding service, including winning Outstanding Achievement of the Year at the 2016 Personal Injury Awards. Our pioneering ‘one-stop-shop’ approach offers a convenient and stress-free solution to our clients, and ensures they receive the help and support they need to get back to where they were pre-accident.